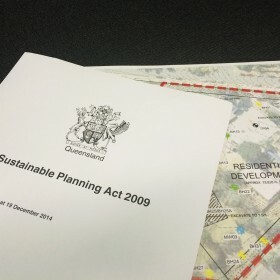 Recent changes to the Queensland Sustainable Planning Act 2009 (SP Act) and Sustainable Planning Regulation 2009 mean that the rules governing when a contaminated land investigation is required under the SP Act have changed. In addition, an Environmental Auditor (i.e Compliance Assessor) is compulsory for all assessments in those circumstances where an investigation is required. The amended Sustainable Planning Regulation now classifies development applications on contaminated land as “development requiring compliance assessment”. As a result, contaminated land is addressed through a Compliance Assessment process and not as part of the DA process. Our experience is that Councils want to be advised through the DA that the Compliance Assessment is taking place, but will not request information regarding contamination matters. Compliance Assessment process means that under Schedule 18 of the SP Regulation a Compliance Permit is now required for a Material Change of Use (MCU) where the site is listed on the Environmental Management Register (EMR) or Contaminated Land Register (CLR) and the proposed development involves a MCU to a sensitive purpose (e.g. residential) or to a commercial purpose with an accessible underground facility (e.g. a basement carpark, workshop, or office). The Compliance Assessor will then issue a Compliance Permit to the landowner, prior to use. Some developments on contaminated land (commercial and/or industrial without basements) will be able to proceed without a contamination investigation. It should be noted that a site can still be removed from the EMR or CLR under the contaminated land provisions of the EP Act. At present, this process can be completed without the involvement of an Approved Auditor, but changes have been made to the EP Act that will require Auditor overview and approval in the near future.